John Harris Rogers (1863?1930) served in Texas law enforcement for more than four decades, as a Texas Ranger, Deputy and U.S. Marshal, city police chief, and in the private sector as a security agent. He is recognized in history as one of the legendary "Four Captains" of the Ranger force that helped make the transition from the Frontier Battalion days into the 20th century, yet no one has fully researched and written about his life. Paul N. Spellman now presents the first full-length biography of this enigmatic man. 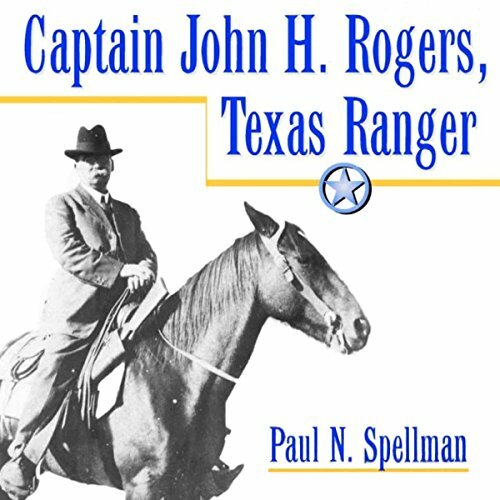 During his years as a Ranger, Rogers observed and participated in the civilizing of West Texas. As the railroads moved out in the 1880s, towns grew up too quickly, lawlessness was the rule, and the Rangers were soon called in to establish order. Rogers was nearly always there. Likewise he participated in some of the most dramatic and significant events during the closing years of the Frontier Battalion: the Brown County fence cutting wars; the East Texas Conner Fight; the El Paso/Langtry Prizefight; the riots during the Laredo Quarantine; and the hunts for Hill Loftis and Gregorio Cortez. Rogers was the lawman who captured Cortez to close out one of the most infamous chases in Texas history. Rogers was wont to use the Bible as often as his six-gun, both with dramatic effect. That and his constant devotion to his family set him apart from the usual lawmen of that era. He was a man of the law and a man of God, a rare combination at the turn of the century. View More In Law Enforcement.